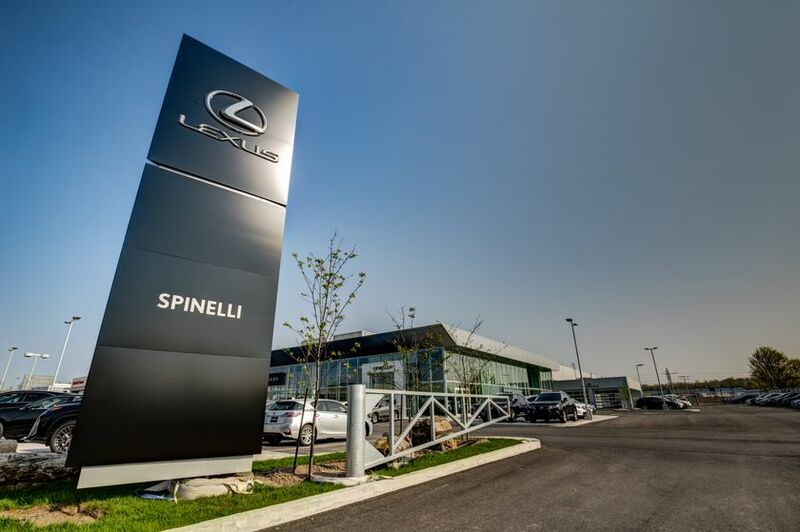 MONTREAL, QC., June 22, 2016 – Spinelli Lexus Lachine is now open for business in its new home – an ultra-modern dealership at 210 Boulevard Montréal-Toronto. To celebrate this exciting milestone, a special grand opening ceremony is taking place. 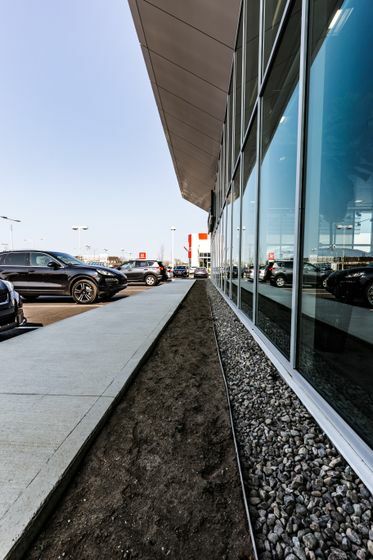 With an investment of $10 million, the new dealership in suburban Montreal is dramatically larger than the old one. The previous site covered 11,000 square feet. The new location spans 30,000 square feet, with another 135,000 surrounding it. 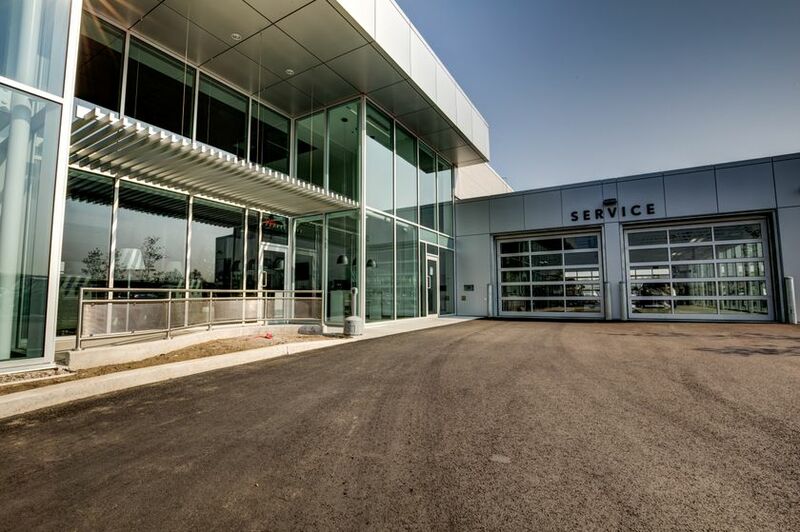 It also has more staff available to serve customers, as the dealership has grown from 30 to 40 employees. 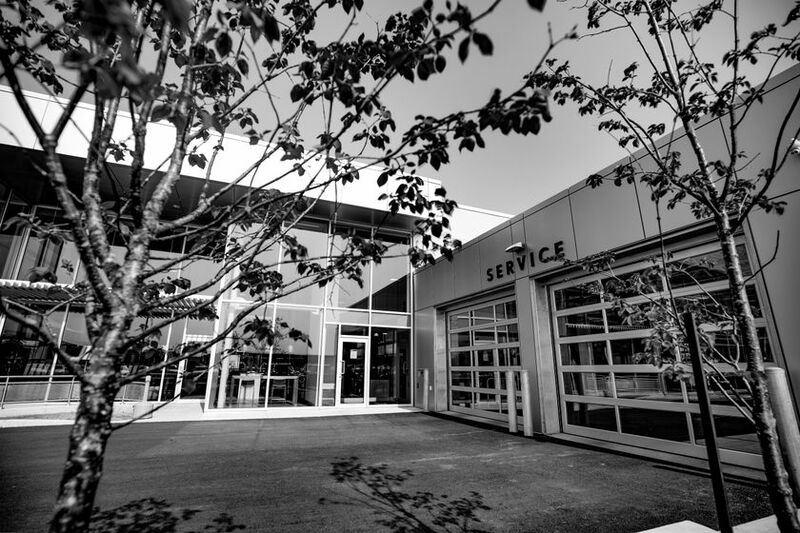 The service shop houses 13 bays, including two for express lube and tire work. 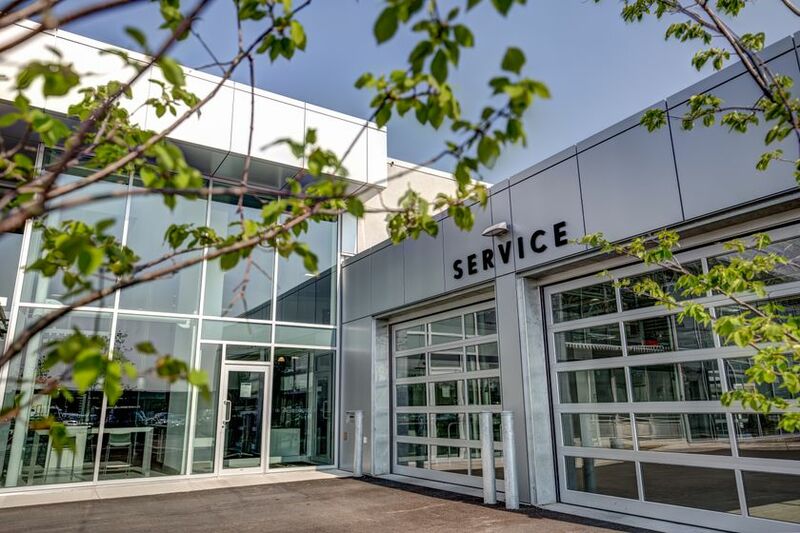 Among new technologies in the shop to make service more efficient are shock-wave service lifts and the latest alignment and balancing machines. The Lexus Lounge is a particular highlight of the building, which reflects the Japanese design concept of “takumi” (master craftsmen). In addition to the aquarium and barista service, guests can enjoy two television screens and the use of iPads. 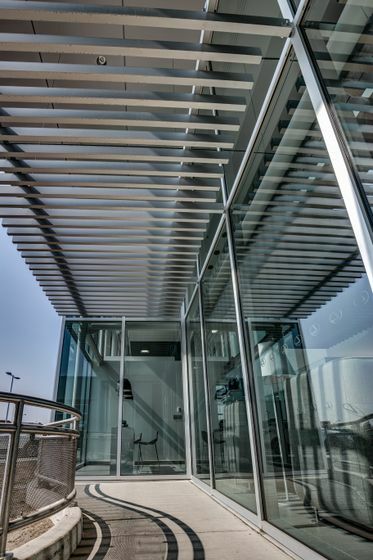 There is also an outside terrace linked to the lounge, with comfortable chairs and quiet areas, as well as a lifestyle boutique and a dazzling new F Sport showroom. Environmental sustainability is another key element of the facility. For example, there is a special heat recuperation system and all the lighting is compliant with Leadership in Energy and Environmental Design (LEED) standards. 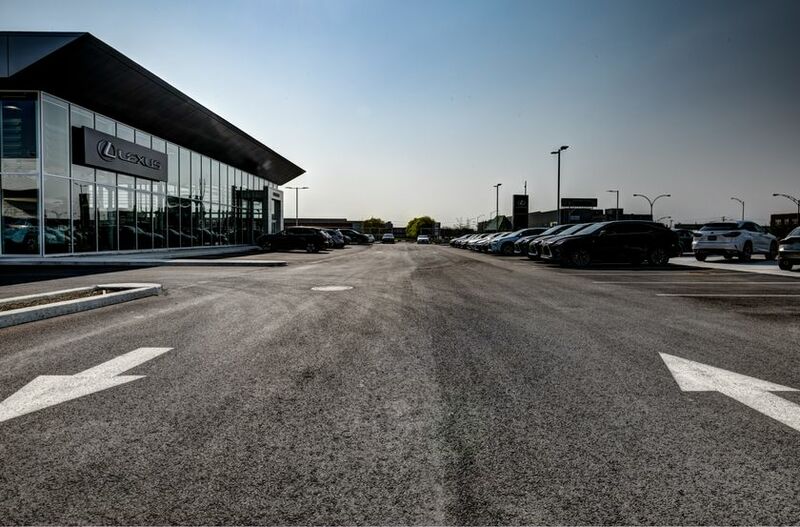 The dealership is in a very convenient location, passed by approximately 150,000 cars per day. It’s just 15 minutes from downtown Montreal, and 11 minutes from Montréal Pierre-Elliott-Trudeau International Airport. 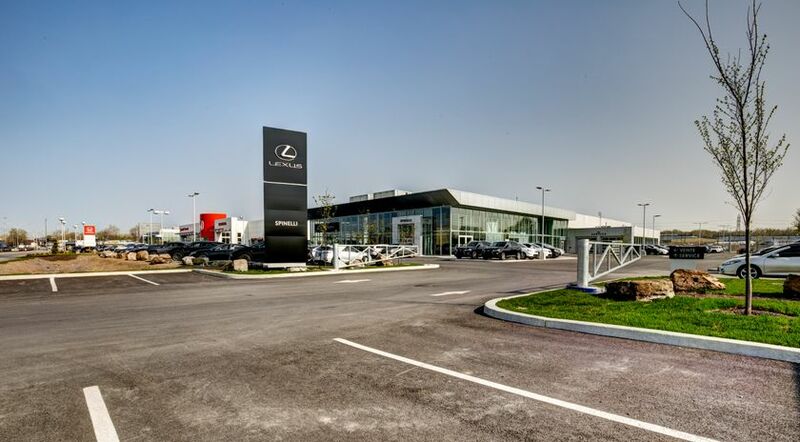 As a unique offering tied to that proximity, all Lexus guests can enjoy free valet service to and from the airport. Their vehicles are washed and safely stored while they are away. 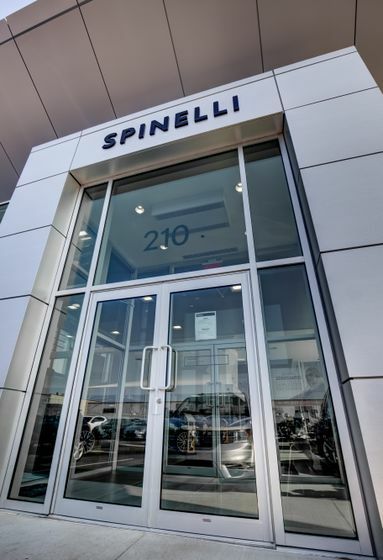 Spinelli Lexus Lachine has long been a leader in the community and that continues in its new home. 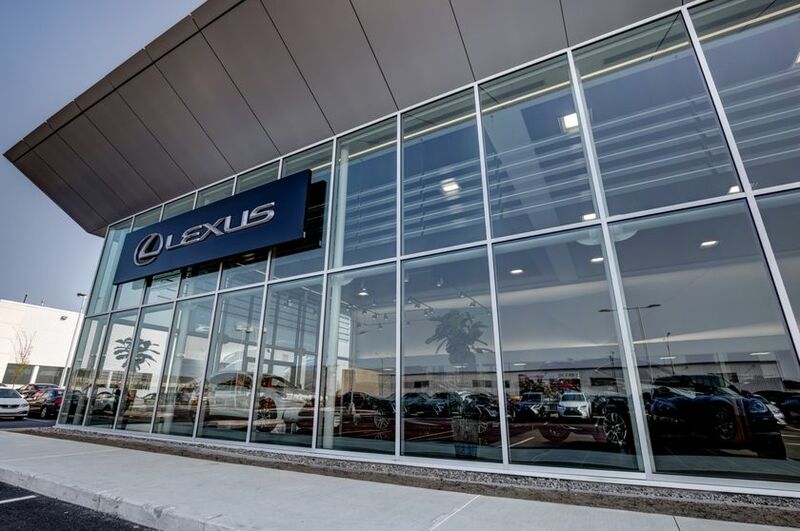 Over the last 25 years, the dealership has provided more than $1.5 million in contributions to organizations such as the Lachine Hospital, Lakeshore Hospital, Centraide, West Island Community Shares, Orchestre Symphonique de Montreal (OSM), Concerts Lachine, Le Garde-Manger and local colleges.